If a person has missing teeth, it may feel like the end of the world to him or her – or at least the end of having a beautiful smile. Not to worry though! With our cosmetic dentistry treatments, our renowned dentists at Arizona Smile Designers will be able to revitalize the smiles of our patients in and around Cottonwood and Sedona, AZ. If you happen to have a missing tooth or teeth, we gladly offer our dental implant procedure to give you back a full and healthy smile. A dental implant is essentially a small, screw-shaped titanium post that’s used to replace the root of a missing tooth. The surgical procedure that’s used to insert a dental implant is minor and routine, typically only requiring local anesthesia. After a healing period that will last about three-to-six months for the implant to fuse to the jawbone, your dentist will top the dental implant with a lifelike crown that’s custom-made to match the shape and color of the rest of your teeth. While initial costs of dental implants are slightly higher than other tooth-replacement options, implants have a documented success rate of over 95 percent, which is much higher than any other option. 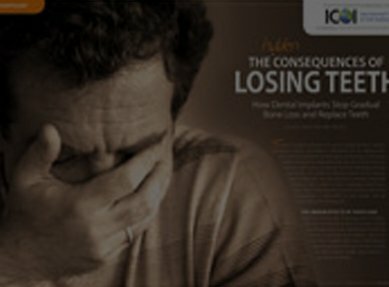 Despite the cost, this is often the most cost-effective treatment in the long run. In addition to being used as a replacement for a single tooth, dental implants can be used in the following ways. 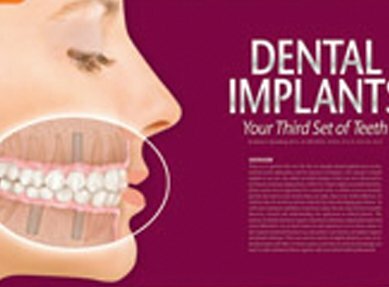 Implants can also be used to replace multiple teeth. You won’t even need an implant for each missing tooth; implant teeth can act as supports for fixed bridgework. For example, if you have three missing teeth in a row, we can place two implants (one on each side of the gap) and then a crown in between that doesn’t have an implant underneath it. By doing this, no natural teeth will need to be used as supports for fixed bridgework. This is beneficial because when natural teeth are used as supports for bridgework, they can become weakened over time and susceptible to tooth decay and root canal problems. 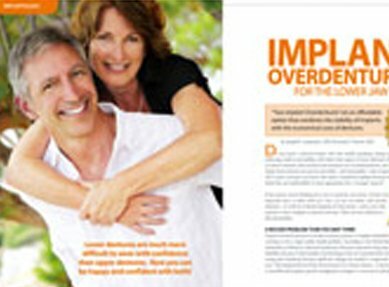 Implants can even make dentures more comfortable and effective. Traditional dentures need support from the gums and underlying bone to stay in place. This pressure that the dentures create will accelerate bone loss so that eventually the gum and bone ridges won’t be able to hold the dentures in place. However, with our implant-supported dentures, we’ll place implants into the gums that will hold a set of removable dentures (two will be used for the lower jaw while more than two will be needed for the upper jaw). By utilizing these implants, we’ll be able to transfer the pressure into the bone structure rather than the bone surface, preserving the bone that’s underneath the dentures. This stability that’s provided by the implants will also prevent the tongue from accidentally displacing a lower denture while eating or even speaking. As mentioned previously, dental implants have a success rate of over 95 percent. While impressive, that doesn’t mean that it’s impossible for a dental implant to fail. However, there are only two ways that an implant can fail and lose attachment to the bone after it has fused: poor oral hygiene and excessive biting forces. Poor oral hygiene can lead to a destructive bacterial infection known as peri-implantitis. To prevent this, you’ll want to brush and floss your teeth on a daily basis. Excessive biting forces can cause your dental implants to fail in two different ways. The first is because of a habit of clenching or grinding your teeth. For people who grind their teeth, we recommend wearing a night guard to protect your implants. The other way is if you have an insufficient number of implants to handle your biting force. We’ll always make sure that you have the right number of implants so that this doesn’t happen to you. Dental implants are a long-term investment in your smile and dental health so we at Arizona Smile Designers will do all we can to protect your investment! If you’re interested in our dental implants or any of our other cosmetic dentistry treatments, feel free to fill out our online appointment request form. Please don’t hesitate to contact us if you have any questions or concerns. We’re looking forward to revitalizing your smile!